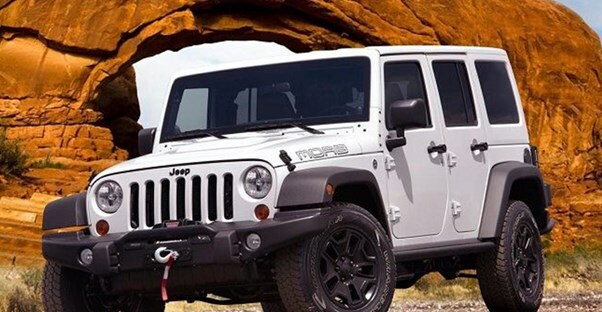 The Jeep Wrangler is one of the most recognizable cars in America. This year, as Jeep celebrates its legacy with a range of 75th anniversary models, we look back over the history of the Wrangler. It's quite a history! It includes everything from a World War to a courtroom battle with a jean company. Jeep doesn’t look like any other vehicle on the market because it didn’t start as a consumer auto. During World War II, the American military had an extreme need for vehicles. A company called Bantam worked with them to create the first prototype most consumers could recognize as a Jeep. Unfortunately, Bantam couldn't keep up with the demand for the vehicle, which caused the Army to look elsewhere. Willys had a competition with Ford to mass-produce an all-purpose vehicle the military could use to get safely and securely from point A to point B. Willys designed the Quad, which looks a lot like what we recognize as the Jeep Wrangler today, although there are a few stark differences. Through the early 1940s, the Quad provided the power and off-road ability the military needed to fight off the Axis Powers. But how did we get from “Willys” to “Jeep? Even that has an origin. Quads were called general purpose vehicles or GP for short, and “Gee-Pee” eventually turned into Jeep. Willys trademarked the name “Jeep” and reconfigured the vehicle for civilian use. The aptly named “Civilian Jeep” debuted in 1945. After a couple of trial runs, Willys released the CJ-2A. Originally marketed as a utility vehicle for farmers and ranchers, the CJ-2A was a pretty bare-bones vehicle. Only the driver's seat came standard - you had to buy passenger and rear seats as options if you wanted them. But the CJ was down for anything - you could also buy a winch, a hydraulic lift, a mower, a snow plow, a welder, and more. The CJ basically served as an alternative to a tractor. Over time, the vehicle evolved. Willys was sold to Kaiser, which licensed the design out to companies like Mitsubishi and Mahindra. These companies spread the Jeep across the world. It was also under Kaiser that Willys introduced the CJ-5 in 1954. This model was so popular that it stuck around for 30 years, even as “replacements” for it came and went. The CJ-5 survived a brand overhaul in the 1960s, when Kaiser introduced the “Tuxedo Park” trim to expand its appeal beyond farmers. It survived the 1970 sale of Kaiser to American Motors Corporation, as well. This model introduced a host of new features and options, including 6- and 8-cylinder engine options to replace the old “Go Devil” and “Hurricane” I4s. Then in 1980, a 60 Minutes segment accused the CJ-5 of being prone to rollovers in a move that many people blame for the death of the CJ-5. 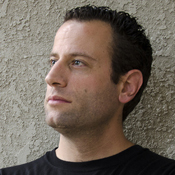 Since the segment aired, people have debated its fairness. It was revealed that the show hid weights in the vehicle to create a “worst-case” scenario for loading. But by the time the truth came out, it was too late. The CJ had a roughly 40-year run up until 1986, and lived through many changes to its design and purposed. Toward the end, the popular favorite was the CJ-7, which is still used in mud racing and rock crawling today. Jeep had crafted a smash-hit line of off-road beasts that could still be used as everyday vehicles The very first Wrangler was born. In 1987, the Jeep Wrangler hit the market under the code name “YJ.” It used carryover engines from the CJ and borrowed bits from the Cherokee to make it more consumer-friendly. It was wider, and closer to the ground. Buyers could choose from a base model, a mid-level Laredo, or a top-spec Sahara. When it reached the public, it was riding on Goodyear's Wrangler tires. Goodyear was alright with Jeep using the name, but Wrangler jeans didn’t find it as amicable. The company sued Jeep, and the lawsuit dragged on for years before the jean company’s owner decided to drop it. There's a backdrop for all of this - in the late 1970s, a struggling AMC couldn't find loans or capital anymore, and turned to international buyers. They found one in Renault in 1980. Renault is a state-owned French auto company, meaning that the French government now more or less owned Jeep. However ironic Americans may find it that the American Motor Company was now being run from France, the French were even more livid. Renault fixed a lot of AMC's problems, but the company still struggled. They were putting out gas-guzzlers during a time when gas prices peaked, and they adjusted down to small cars just in time for the economy to recover in the 1980s. They became a drain on Renault, and a focal point for a lot of French frustration at their economy. In 1985 a man named Georges Besse, who had overseen a ton of corporate turnarounds in France, was put in charge of Renault. He started off by laying off 21,000 people. Besse was a huge believer in Jeep, and pushed them to develop new products while investing heavily in the foreign company. By 1986, AMC turned its first profit in ages, thanks to huge demand for Jeeps. Shortly thereafter, Renault itself was profitable again. But Besse had made a ton of enemies. In November of 1986, Besse was gunned down by assassins from an anarcho-communist group called Action Direct. His death also signaled the end of AMC's revival. In 1987, shortly after both the debut of the Wrangler and the assassination of Besse, Chrysler purchased the American Motors Corporation. They turned AMC into their Jeep-Eagle division, and continued producing the YJ version of the Wrangler. The YJ carried the civilian Jeep's legacy forward until 1995. After that it was pulled to make room for the new "TJ" models. The Jeep Wrangler TJ had two enhancements: the return of the classic round headlights and the adoption of the XJ Cherokee’s coil-spring suspension. The coil-springs decreased some of the stiffness, gave the Wrangler a more enjoyable ride, and made it a strong off-roader due to a seven-inch increase in suspension articulation. After the Jeep Wrangler TJ, the “JK” took over, but Chrysler wasn't just kidding about the vehicle. Starting in 2007, the third-generation offered a wider wheelbase and a decreased length compared to its predecessor. By 2012, we got a stronger 3.8-liter V6 engine that marked the biggest motor improvement since it first moved away from the 60-horsepower engine. This is the Jeep Wrangler we’ve all grown to love. It’s big, tough, and ready to go anywhere you want without getting stuck. Today, the classic vehicle is available as the two-door Wrangler or the four-door Wrangler Unlimited, and you have 13 of each to choose from, from the Rubicon to the Winter to a limited-edition model meant to celebrate the 75th anniversary of this stalwart, all-American vehicle.